Cape Town represents approximately 70% of the Western Cape Economy. The population is set to grow by 1.5mil people in the next 30 years. Investment is spilling over into surrounding towns and semi-gration has become a buzzword in the industry raising serious concerns. 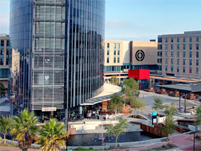 The event will be held in the Century City Conference Centre, with world-class connectivity and electric creativity, conveniently located in the Century City precinct, just a few minutes from Cape Town CBD.